The City of Stockton officially opened their new swimming poo on Tuesday, July 25, 2017. 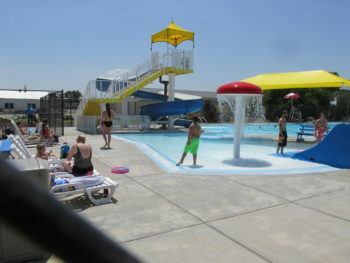 The pool has been under construction since January, and due to favorable winter weather, opened earlier than expected. The pool has several new features that patrons are sure to enjoy. Among them are a basketball goad, a handicapped-accessible ramp, a large winding slide, and a zero-depth entry with a small, two-person child-size slide. A mushroom and shading seating area is also featured. Stockton began working toward building a new pool well over a year ago when it was decided that the current pool was beyond repair. The new pool is in the same location as the old pool, but with a different configuration. The pool house is larger and much more user friendly. 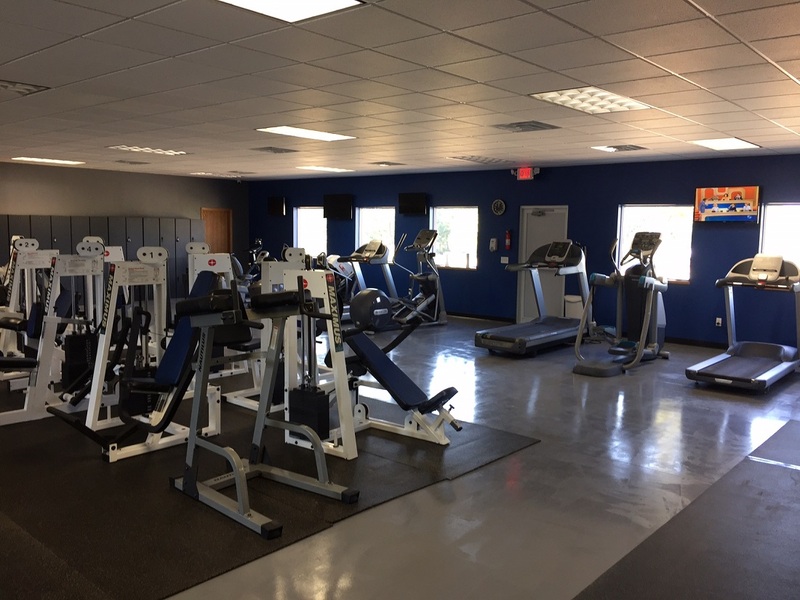 Stockton’s new Recreation Fitness Center officially opened on Tuesday, September 19 with all the equipment being moved from the former downtown location to the new location at on South Cypress, next to the new swimming pool. The new facility had it’s official debut on Friday, September 29 with an open house and ribbon cutting. The new facility has 4,400 square feet of fitness space and includes all the weight and fitness equipment that was in the former building, but has added space for locker rooms, including showers. 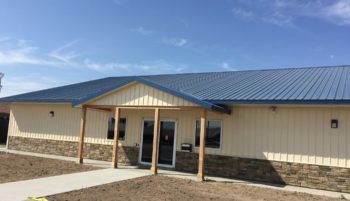 The Recreation Commission Board worked over the last few years to save money for the down payment on the new facility and then worked with the Stockton Public Building Commission, which issued the bonds for the remainder of the $260,000 project. The bonds will be paid for with the budget funds and membership fees. Aftan Tso is now the director, after succeeding Bridget Starbuck.